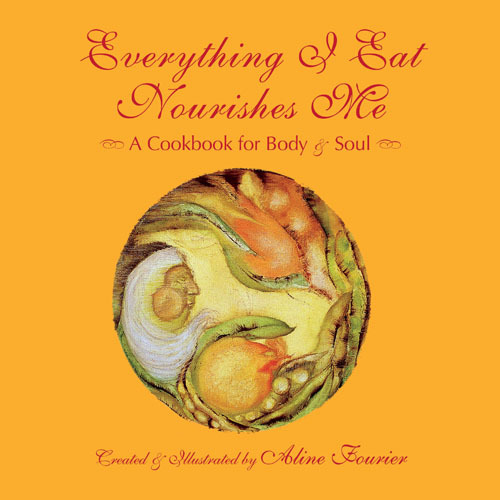 In Everything I Eat Nourishes Me, A Cookbook for Body & Soul I have gathered a eclectic mix of recipes and stories that speak to our emotional, mental and heartfelt connections to the foods we eat. When we feel connected to the dish before us we affirm the nourishing quality of the feelings, thoughts and memories and we digest them with the foods themselves. When we eat with joy, love, peacefulness and enthusiasm our bodies are relaxed, our digestive system is not tight and stressed and is easily able to absorb the nutrients in the foods we are ingesting. This mind-body connection is not mysterious. We cannot absorb the nutrients if we eat in a hurried and stressful way. Our muscles become tight, and that includes all our digestive organs. They are muscles as well. Our bodies definitely talk with us and we just need to listen. I made fish tacos last evening with some lovely fresh flounder. I felt so excited and joyful creating the dish, having some fresh seafood, which I have been craving. I felt, as I ate the tacos, all those wonderful emotions nourishing every cell. Aline Fourier is a writer, symbolist painter, and multimedia artist. She is the author of Salt Marsh Reflections, a uniquely-bound book of poetry and photography of a Maine salt marsh and Everything I Eat Nourishes Me, A Cookbook for Body & Soul. Ms. Fourier lives with her husband, Jonathan, and her dog, Caleb, on a ranch in New Mexico, just outside Santa Fe. There they opened the Ortiz Mountain Gallery, where she displays her artwork. She presently devotes all her time to her writing, painting, healing work and caretaking the earth where she lives.